We have done our research to find the most resourceful TEFL 120-hour courses. Not just resourceful but also offering career guidance and a successful roadmap to a career teaching English and more abroad. Having your TEFL certification is reputable to show you’re qualified and skilled in a foreign language. Catapulting your resume to the top of competing candidates and increase your chances of higher paying salary and benefits. Most employers are looking for some type of credible experience or documentation certifying your skills and abilities. Gaining the tools and knowledge from the TEFL courses help you become better as a teacher. Seeing how the process of the TEFL is taught and the strategies used along with case studies, research, and etc. Keep in mind it’s not guaranteeing you a job but an opportunity to increase your odds and potential with a company. We’ve rank myteflt.com top in its class for many reasons but there’s a few that stand out. One of the best resources and feature of this program is their guarantees for job placements to all course graduates. Also, a noticeable credible certification to employers. The reason is these employers identify with MyTefl certification training ’s, which are designed to meet the needs and standards of the market. We know its not easy finding career opportunities after receiving your certifications so mytefl.com offering job placement its a great value. Not to many 120-hour TEFL certification programs can offer and stand by this. 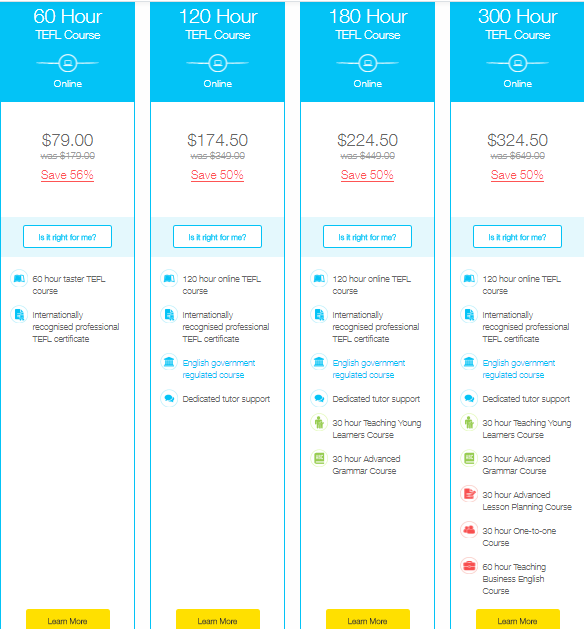 Now at the number 2 spot, we have Premiertefl.com a TEFL training program on the rise. With accreditations from the ACDL also known as Accreditation Council of Distant Learning and TQUK also known as Training Qualifications UK also gives this course a boost in our rankings. While this course does not guarantee job placement it does guarantee expert assistance with finding jobs and more for their course graduates. Ran by teaching professionals this 120-hour training programs can bring tremendous value to your resume along with their experts helping you find the best opportunities available with career advancements. Standing at number 3 is the world known i-to-i.com TEFL online program. 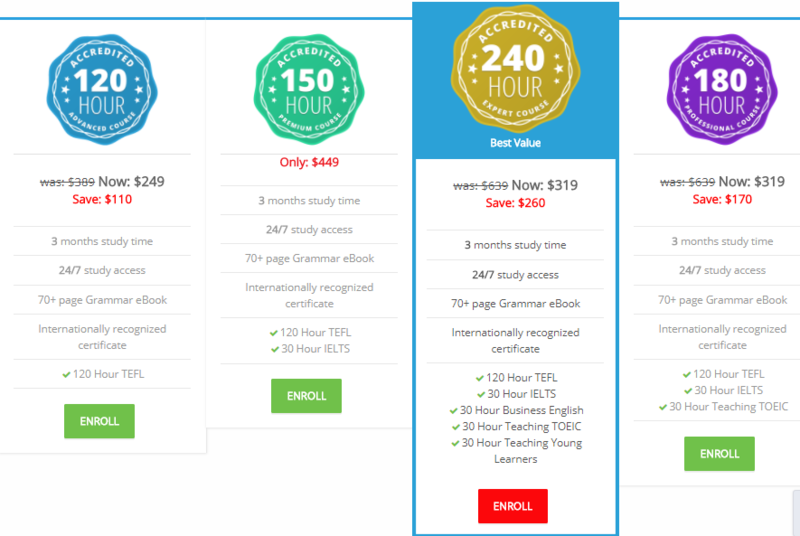 This course gets its high ranking from its usability and resourceful content available with this 120-hour TEFL certification course. 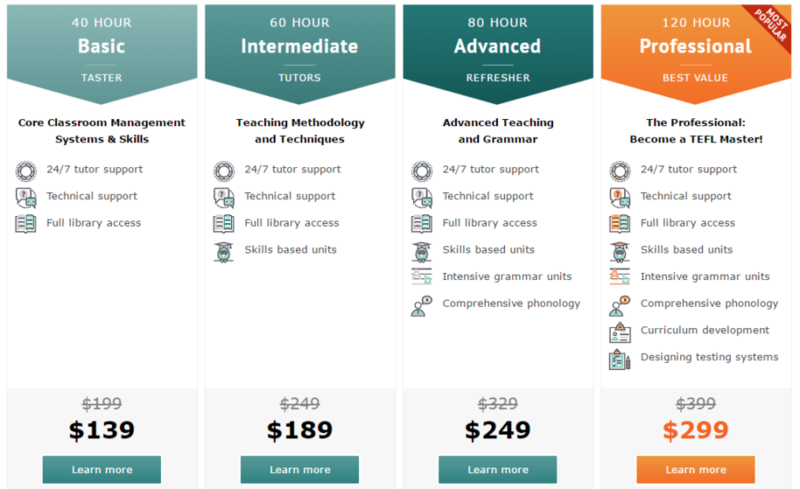 Offering valuable research material, lesson planning management, and a well-filled resource library at students disposal. I-to-i certification is known globally and credible to employers making this a resume booster. Helping you get a better understanding of your TEFL certification is one of their main goals, dedicated tutor support is one way they aim to achieve that. This student-friendly 120-hour TEFL training course provides a resourceful advantage for those who are not the most tech-savvy or seeking learning assistance. We have come up with our top 3 most valuable TEFL courses online. These courses were ranked by their assets to helping build a prosperous career and opportunity to learn. Like these top 3 online TEFL course do, offering job placement opportunities, action strategies, and other resources valuable for building. Not to mention these are highly recognized across the world. These high-quality TEFL training institutions provide a guidance for TEFL certification graduates. No matter if your teaching domestic or abroad your certification holds value.